Rodina’s parents fled Sudan as refugees and raised her and two younger sisters, who today look up to Rodina as she paves the way to college. She has approached assimilation to American culture as an opportunity to teach others about her culture as well. 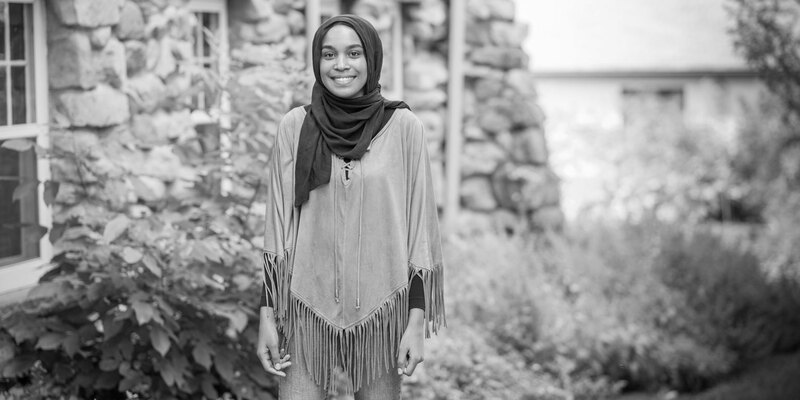 After suffering discrimination in a workplace environment, Rodina formed the Sudanese Student Association, an organization that provides opportunities for other Sudanese-Americans to engage in community leadership and cultural awareness in Colorado. A life-long community service advocate, she founded an organization at her high school, Blazers for Change, which she “dedicated to making a positive impact within my school as well as by encouraging students to get involved in community service.” Among its successes, the organization held a drive to supply food and necessities to the local homeless population in downtown Denver and collected school supplies for students at her high school for items they could not afford. Rodina took specific steps to find respectful and private ways to provide items to the students in need at her school, so as not to call attention to individual students.